Discussion in 'The Poker Talk Corner' started by Marina, Aug 13, 2014.
if you do not find a pigtailed, poker-playing woman from the 1800s more than a little interesting, you may need to rethink a few things! Read the information below to learn about one of the most interesting women in American history – not to mention one of the most interesting characters in gambling history. you have to admit that the story has not picked up a healthy pace yet. Her beginning may be less than fascinating; however, everything changed when she met a man named Frank Duffield. her success while playing the game of poker. other miners in the town. Her nickname, Poker Alice, was an obvious choice as far as nicknames go: she was a natural at the game of poker and became even more skilled as time wore on. 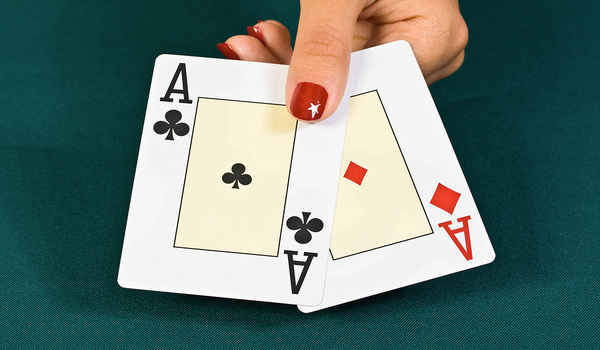 handy because she could count cards better than just about anywhere out there – and you can only imagine how she must have used her good looks to her advantage when gambling against male players. Poker Alice became very successful and earned a great deal of money by simply playing the poker tables in her town. She could soon afford whatever clothing or other possessions she wanted. She began moving from small town to small town playing at the different saloons offering poker (which was just about every saloon). in her bag; sources indicate that she typically carried a loaded .38 to protect herself from the rough and tumble crowd in mining towns of the 1800s. and returned to the pawnshop to collect what was hers. at one time). No legal action was pursued in depth, however, due to Alice’s age. more about Poker Alice, try looking up a photograph of Alice on the Internet. People say a picture is worth a thousand words – and one look at Poker Alice will sum up this article nicely. Love it when the Lady's are recognized for their poker skills.